Time flies, as they say. Turkish Airlines is celebrating 10 years of flying between Istanbul and Cape Town. To commemorate the decade, they recently hosted a colourful gala dinner at Century City Conference Centre in Cape Town. 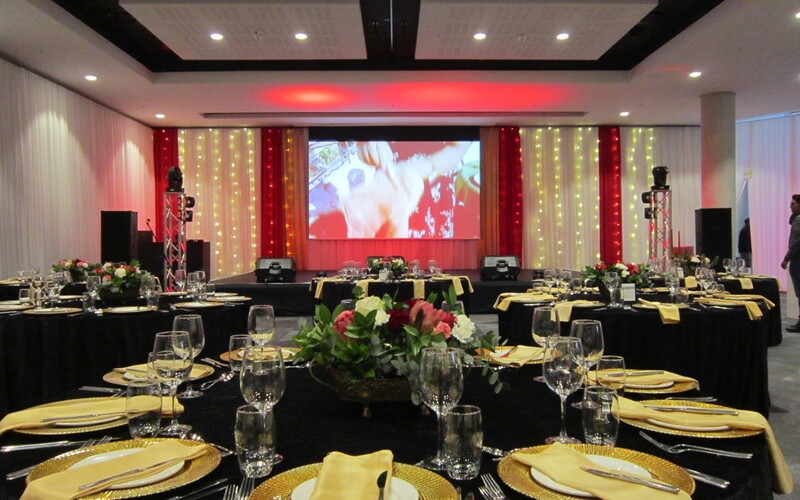 The Events Draping Co. team was there to drape the walls of the venue in white fabric, with highlights of red and gold, on behalf of superb event planners, Trunk Events. The final festive touch for the event was created with fairy lights in the stage area. Looking forward to the next 10 years! Nice arragements, best wishes to Turkish Airlines.